We are pleased to announce that we recently fought off the competition and snatched the contract to create a most unusual audiobook for Mr Darren Lee. He works in the security sector and is a successful trainer. He has written a great manual for nightclub workers and security managers which is available on Kindle. Having an audiobook would provide another medium to deliver his message and reinforce his training program. The author felt that British English would suit the subject – in particular a London accent with a bit of an edge. Who better than our Oscar Sparrow to audition for this role? Darren liked Oscar’s chatty, informative style and common touch and awarded us the contract to record and produce his audiobook. We have recorded the text – it is now in final polish and production phase and we expect it to be finished by the end of April. 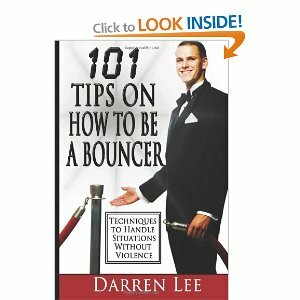 This entry was posted in 101 Tips On How To Be A Bouncer, Audiobook and tagged audiobook, Bouncer, Darren Lee, Night club, Road House, Security by Gallo-Romano Media. Bookmark the permalink.